After moving out of an old farmhouse with an established garden and into a “Vermont-urban” loft last year, I found a plot at the community garden for growing herbs, cut flowers and my favorite veggies. I even transplanted my beloved peonies into my community plot. Last growing season, I was able to cut flowers and bring them back to my loft to enjoy. 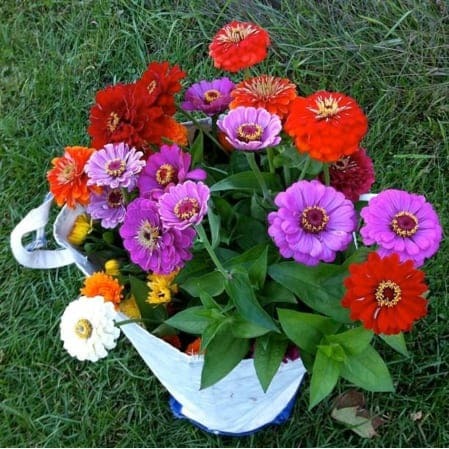 I grew sunflowers, zinnias, parsley, basil, carrots….It was wonderful but the satisfaction of gardening was not quite the same, mainly because of the routine. I realized that my favorite time in the garden is early in the morning, before the day begins, when I am still sleepy, wandering around with a cup of coffee in hand. Zinnias from Jana’s community garden plot. Photo: Jana Bryan. I will continue to garden my community plot. The time I spend with my hands in the soil is important in helping me relax. But I need to find another routine to bring gardening closer to home. 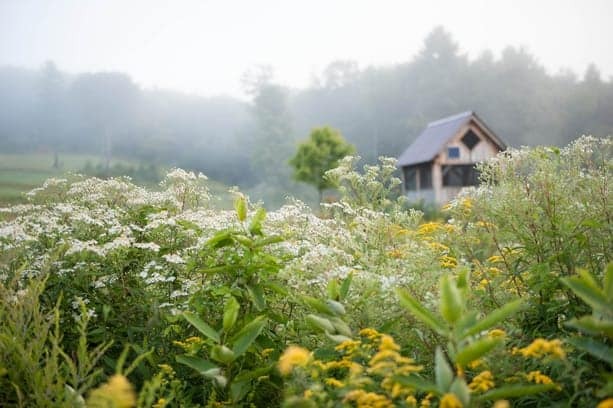 It would be nice to grow edibles, watch flowers unfold and get caught up in the details of foliage while wandering around in my pajamas, before I start thinking about my “to-do” list. My plan is to focus on houseplants. This is something needed in our spacious loft. The soft smell of soil and delicate texture of plants can make a living space feel like a home. 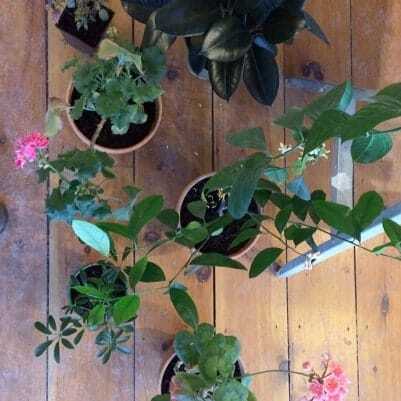 Potted houseplants, including pelargoniums, parasol plant, and rubber plant. Photo: Jana Bryan. I guess this is sort of a New Year’s resolution. Because, in truth, I’ve been only moderately successful at keeping house plants alive. That’s been okay with me because I have always had beautiful gardens in which to work, either as a professional gardener or as a homeowner. It’s time to start something new. Indoor gardening must be similar to gardening outdoors. I need to consider light, moisture and soil. My gardening know-how will not be worthless. Plus there are many go-to sites for tips and information on how NOT to kill your plants. But, first, I need to be inspired into action. I love seeing creative ways nature can be brought into a home. I’ve noticed the recent trends in containers: fun ways to display air plants, create terrariums, and hang plants have been coming to my inbox. Faceted terrariums; DIY terrarium. Photos: L, West Elm; R, The Novice Chef. There are many DIY sites describing how to create “kokedama” or string gardens. 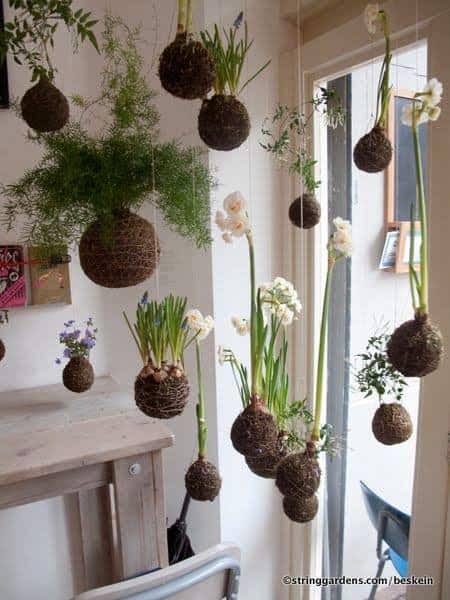 Hanging string gardens. Photo: String_Gardens. 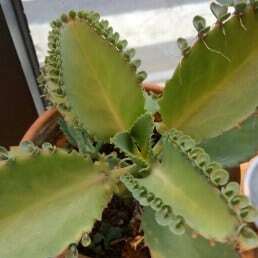 Mother of Thousands (Kalanchoe daigremontiana). Pet-owners, beware: it’s adorable but highly toxic! Photo: Jana Bryan. 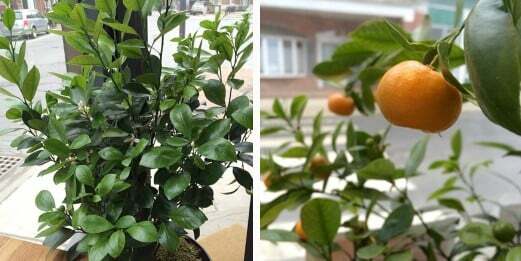 This beautiful mini-orange tree was given to me as a gift. It seems to be happy. I’m off to a good start. Miniature orange tree. Photo: Jana Bryan. There are many clever, beautiful products and ideas, from mini greenhouses for herbs to starting seeds using recycled materials. Continuing to start seeds and growing African violets will allow me to propagate and get my hands in the soil. Sprouting chives indoors; Grow Bottles by Uncommon Goods; African violets. Photos: L, Jana Bryan; C, Uncommon Goods; R, Woonblog. I’ve been reading about vermicomposting. Setting up a small worm-composting bin will not only help with kitchen scraps but also provide soil when it comes time to top-dress and repot my plants. Once I master my container gardening skills, maybe I’ll even install this green wall. 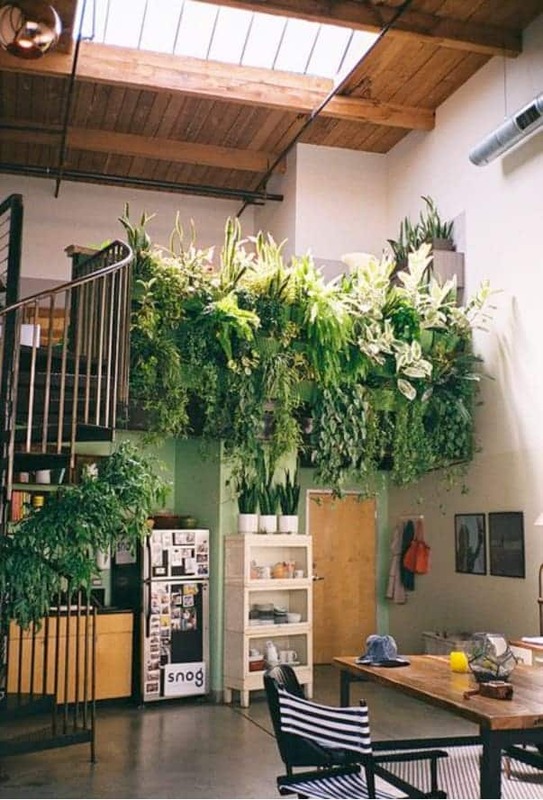 A dramatic indoor green wall. Photo: Flickr. A variety of plants: easy to grow, some lush foliage, a few fun containers and a way to keep it all going. Sounds like a plan. I think I am inspired. If anyone has any advice, I’m ready. Thought-provoking article. Lovely and informative! Nice article for winter. I like having a few orchids around that bloom through the cold season. What is nice is how long they hold their flowers through those gray winter months. Thanks, I found that inspiring. I also have recently left the suburban life with backyard garden to a more urban environment with a shared backyard. The indoor succulent option has the appeal of low maintenance and tidiness, which works well for my OCD nature, busy-ness and travels. And finding the right container is oh-so-important!